Who is Brian Sean Reid? For the past three decades, Brian Sean Reid has moved people from around the world, helping them transport their lives from where they were toward where they wanted to be. Walking his talk and letting his own nature flow freely, he developed his unique ability to connect people with their nature. His desire for every individual to truly “get it” and his endless, innovative energy are just a few of his qualities. At the age of five, without having the vocabulary yet to express it, Brian felt strongly that he was put on Earth with an important mission to accomplish. This intense calling was his bright light on the uncertain path of his young, tumultuous life. It stimulated him to make thoughtful choices, and seek out the best to guide him along his own Way Home from where he could complete his mission. Looking back at his life so far, no matter how challenging at times, every single step he took and every single obstacle he conquered contributed to how he has developed into who he is today. Just as we all have our doubts, fears, weaknesses, habits, or patterns that don’t seem to work for us, so does Brian, and he trained himself to recognize them and create successful patterns that serve his ever-evolving goals. One thing stands out that has helped Brian dramatically change his life, and the way he lives it in such a positive way, and that is Brenda Lee. In his late 30’s, Brian felt the desire to once again have a horse in his life. He remembered the Arabian horse he had when he was 19, and recalled how scared he was that he’d hurt that beautiful fragile horse under the weight of his substantial physique while riding. So he focused on finding a horse larger than himself to care for, to jog and to play with, and to simply share his life with. During his search he found a beautiful Shire mare at a farm in New Hampshire: Little Miss Dynamite was her name, or more commonly known as Brenda Lee. At the time, she was only a yearling, but Brian knew she’d grow to become the one-ton powerhouse that Shires are known for. However, before he’d take her home, he had to be certain that she wanted him too. After spending several days with young Brenda Lee at her farm in NH, it was clear that this was love at first sight. From the very beginning, Brian couldn’t get Brenda Lee out of his bubble. She had so much connectivity; she followed him all over the pasture, and her degree of playfulness and interaction was contagious. Even today, Brian enjoys Brenda’s playful energy, and over the years their natural connection has grown so strong that people worldwide marvel at it. Brian continued to follow his bliss and life’s mission, and developed himself as a teacher and life coach. Drawing from his own life experiences and the education and programs he studied, Brian became the unique coach he is today. He has successfully helped clients transform their personal and/or professional lives, their relationships, their physical health and fitness, the weight loss they always strived for, and sometimes just simply guided them on their journey to help them stay on their path. He also successfully applied his own teachings to move towards the things that mattered to him. At the age of 40, Brian became a competing bodybuilder, and won the NGA Mister America (Novice Devision) in 1999. He went on to win the Rocky Mountain Naturals (heavy weight) in 2001, and took ninth place in the 2003-2004 NPC Team Universe (heavy weight). These successes. along with his insights into simplifying the natural laws and principles, and his infectious enthusiasm inspired him to found Learning Systems International Inc. and create the Horses Know The Way Home Academy in 2007. This was his first online coaching program that reached people worldwide, creating extraordinary results in remarkably less time than they ever expected. Based on its success, Brian kept improving the online teaching experience for his students, and expanding on the coaching modalities until the birth of the HorsePower Academy: an all inclusive, 13 week, interactive and experiential online coaching program, open to anyone committed to take their life, health, fitness and/or career to the next level and beyond. Brian’s innovative and driving nature has influenced his unique approach of “getting to the core” of what you really want. He targets your immediate roadblocks and offers a practical approach without spending a lot of time on tangential issues so that you can make a beeline to discover, harness, and release all of you toward what matters to you in your lifetime. 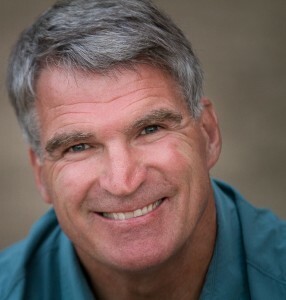 Over the years, Brian has been a much invited Keynote Speaker and Guest Teacher nationally and internationally. 2015 Fit For Life Expo. • Keynote Speaker at the Ocean State Business Expo. • Private workshop for 2014 Rhode Island College Psychology Graduates with the topic Substance Addiction: Moving Toward Freedom. 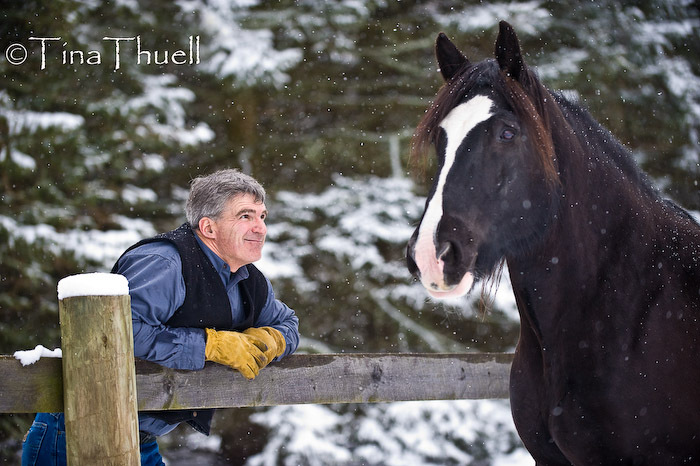 • Keynote Speaker and guest teacher at the first Healing with Horse Symposium for Equine Assisted Coaches and Practitioners and Healers from all over the world in Denver, Colorado. June 2013. Brian also facilitated a post-workshop to help participants deepen the knowledge and practical experience they acquired during the event. • Guest with Brenda Lee at renowned animal communicator and author Amelia Kinkade’s 3-day workshop in Vermont, attended by advanced animal communicators from the US, Canada, Europe and Australia. • Private workshop for C. Jarvis Insurance Agency, Inc., an international Equine and Blood Stock insurance company, setting the standard for equine insurance since 1946. In an intimate setting at the elite Stachowski Farm in Ohio, Brian taught Jarvis’ owners, agents and employees, as well as the owners and staff of the Stachowski Farm, about Feeling the Connection at an individual level, as a team, and with their clients. •Workshop at the private farm in L’Oasis in France, upon invitation to allow the European public a LIVE experience. •Workshop at The Holistic Equitation Center in England, upon invitation to allow the European public a LIVE experience. • Speaker at the first “Awakening to Animals – Bridging New Science and Animal Spirituality” Conference in England. •Public Appearance and Presentation with Brenda Lee at Equine Affaire Massachusetts and Ohio, invited by the American Shire Horse Association. •Public Appearance and Presentation with Brenda Lee at Equine Affaire Massachusetts, invited by the American Shire Horse Association. • Founder of the first US Inner Fitness Center: a facility within health clubs that offered leading edge emotional, psychological, physiological and relational help/support programs and content to empower fitness and health. • Guest Teacher at the US Navy’s top leadership and management schools, Naval Station Newport, RI. •Distributor for Nightingale Conant’s Personal Development Programs. What seemed to be a coincidence happened to be a co-insidence. On a cold February day in 1998, Brian traveled to Northeast Shires to meet Brenda Lee for the very first time. She was one year old and as cute as could be and she stole Brian’s heart from the very first moment. He knew that this was not about an ownership, but about creating a relationship with Brenda Lee for her lifetime together with him. Therefore, before committing himself to the responsibility of bringing her home, he took the time to spend 3 weekends with young Brenda Lee at Northeast Shires over a 2 month period of time and it was clear: this was love at first sight. From the very beginning, Brian couldn’t get Brenda Lee out of his bubble. She had so much join up, she followed him all over the pasture and her degree of playfulness and interaction was contagious. The role that Brenda Lee was about to play in Brian’s life from the first day they met, was the perfect answer to all that Brian’s life so far had inspired to be passionate about and was ready to be unfolded in the next years to come. Until today, Brian enjoys Brenda’s power and playful energy and over the years their natural heartfelt connection only grows stronger. The heartfelt connection is the drive behind everything Brian and Brenda do and share together. The expression of the connection, the expression of both of them as individual unique beings meeting each other at their “heart – level and communicating from there to maintain the connection between them. Brian’s goal and heartfelt desire with Brenda has always been to let her be in her purest and wildest form, free to express herself as she is in everything she does. Given this freedom, Brenda has developed herself as a wild marvelous thundering Shire, a willing partner in play and a unique mirror of how well Brian is connected with who is is every day again and again. And when he started to apply his unique way of playing with Brenda into his own daily life, he lifted himself to the same comparable results as he reached together with her. When they explore new challenges together, those challenges are always chosen to expand their “Feeling the Connection” into new areas as free and as connected they can be together. And this takes the time that it needs: when with Brenda, Brian’s goal is having: “no agenda other than having NO agenda”. Who are Lucy, Eddie and Red? Eddie is the big yellow dog with the spotty tongue. You will usually find Eddie by Brian’s side or if Brenda Lee is on the move, Eddie will be right behind her. Lucy is the little Yorkie who never stops! Lucy has been riding Brenda Lee since she was a puppy and will let you know when she wants up. In the videos you will usually find Lucy running rings around everyone and yapping non-stop. Red is the big red dog. His nickname is Perimeter Red. He likes to skirt the perimeter and chase deer back to Brian and Brenda Lee in the woods. Red traveled all the way from Tennessee to join Brian and Brenda Lee in Rhode Island. All the dogs help in the Horses Know The Way Home Academy series with their different personalities and traits. It’s not only horses that know the way home but dogs too!